Do you have the The Best House in Town? Sidney Street, the makers of Mary Berry Everyday, Classic Mary Berry and The Farmers’ Country Showdown are making an exciting new TV series for BBC One. ‘The Best House in Town’ will see proud property owners, who all go the extra mile to make their houses stand out from the crowd, compete against each other. With local knowledgeable neighbours doing the judging it’s a competition that celebrates the best of British ingenuity, creativity and good old-fashioned pride! As a nation, we are full of compulsive DIYers, interior design obsessives and property perfectionists who put their heart and soul into making their dream home. Each week the series will visit a new area of the country and feature a number of different properties, varying in style, size, aesthetic and comfort – all seeking to be the best house in their town. Executive Producer Lucy Shepherd, said: ‘We’re searching for super-proud home owners who’ve put their absolute everything into creating a dream home that stands out from the neighbours. 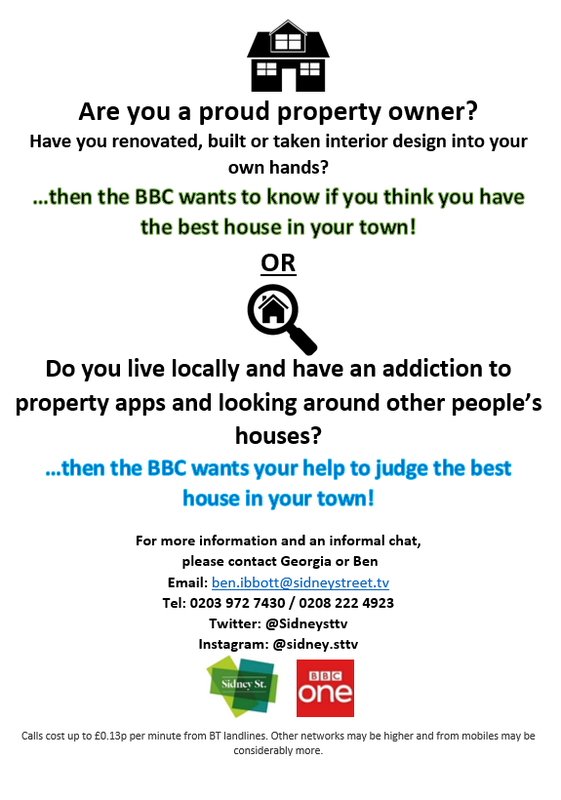 No matter what shape or size, from the modern apartment, to the Victorian townhouse, ex council or even something a little bit unconventional… if you think you’ve got the best house on the street, we’d love to hear from you’. The Best House in Town will give some of the nation’s proudest property owners the opportunity to open their doors and show their neighbours their pride and joy!